Quantum computers have the potential to fundamentally change digital technology and therefore the ways in which we solve problems, interact and do business. In her series for Roman Road Journal, science writer Gemma Milne looks into how quantum computers work and how they might change our lives. In Part 3, she explores the possibility that we’re looking at a quantum computing bubble and possible concerns about the field’s future. Quantum computing does show signs of being able to super-power our world in some select ways – artificial fertiliser which doesn’t cost the Earth, and drugs getting to market quickly are just two examples. So with the excitement growing amongst the businesses playing in the science and technology industry, opportunities for making money are suddenly opening up. Start-ups working on quantum computing have been popping up all over the world – with most forming in the last three years. This is great news in terms of speeding up progress as it pushes the older, wealthier players like IBM and Microsoft to continue investing huge amounts into their own efforts. But the worry starts to creep in when you take a closer look at what exactly each of them is working on. 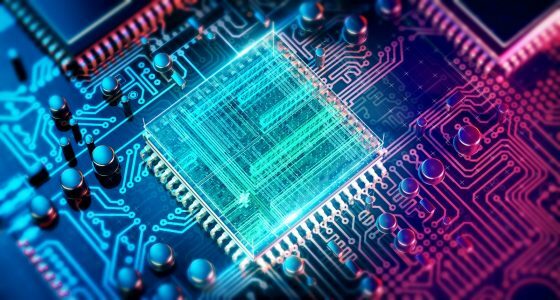 Many claim to be working on quantum software services – services that other companies can tap into when they need someone to build a computer program to go along with the quantum computing hardware. This makes sense when you consider that having entirely new computers to work with will require entirely new ways to code and communicate with them. But the way quantum computers will actually work is not quite figured out yet, and current abilities are still far off actual commercial usage. Therefore, the need for a company providing software services to other companies like Nike and Wal-Mart at the moment is almost zero. Yet, private investors are throwing money at these start-ups. Venture Capital firms want to be seen to be investing in the latest technologies, so they can attract the largest sums of money to their funds. Corporate innovation teams need to show that they are future-proofing their companies by investing in the science and technology of tomorrow. Of course with any new advancement, there will always be those early companies who – consciously, or not – gain money, fame and growth simply for being the first-mover. Some of these companies do become the key players in future markets, but most are found to be not expert enough to build for such new science – previous experience in a different technology is not always enough to succeed in a new scientific field. Many of these companies therefore lose millions of dollars of investment due to jumping on the bandwagon without a long-term plan to hold on to the ups and downs of a growing technological field. The problem with this eagerness is not just in losing money from private investors – it goes much further. It changes how people see this particular technological advancement: moving from being something exciting to something full of con men. A perfect example of this shift happened, and is still happening, in the Artificial Intelligence field. 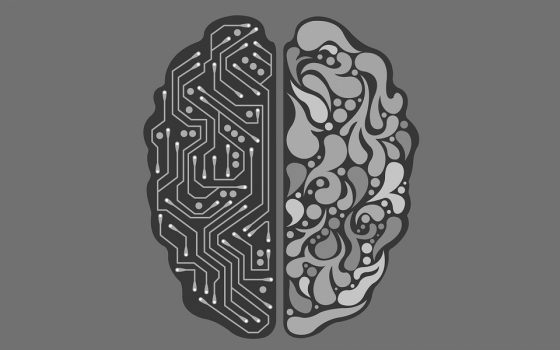 The term ‘AI Winter’ was coined in 1984 at a conference exploring the future of the technology. Roger Schank and Marvin Minsky – two reputable leading AI researchers who had seen a dangerous hype cycle in AI happen in the 1970s – warned businesses that AI enthusiasm had spiralled out of control. They argued that there’d been too much hype, followed by disappointment and criticism from investors and governments not getting the results they were promised, and that there were soon to be funding cuts which would stop progress entirely. Sure enough, three years later, the billion-dollar AI industry collapsed and serious research struggled to get any attention or money. It wasn’t until 20 years later that renewed interest in the technology moved it forward once more. That renewed interest is currently pumping, to the extent that the term ‘Artificial Intelligence’ thrown into a start-up pitch to investors massively increases their chances of getting the money, and it can be very hard to work out the serious innovators from the quick-buck founders. Right now feels like the start of a hype cycle in quantum computing – with nearly four times as many investment deals in quantum computing happening in the last four years compared to the previous 14, there is huge appetite for progress and commercialisation of the science. If we’re really to benefit from this astounding science, we cannot afford for interest to peak too early and for funding to dry up before real problems can even be worked on. People jumping on the bandwagon without clear immediate benefit to the developing community can do much to ruin the course of progress. Quantum computers can and will do great things for advancing medicine, agriculture, and sheer curiosity. They are the next step in the world of computing and, if we can crack how to make them work properly, we’ll be able to work on problems we never thought possible. But quantum computers don’t come without their concerns. The world of encryption would be totally turned on its head, and the industry protecting all our information would need to drastically advance its technology. It’s easy to argue that the arrival of quantum computing would be a day to be celebrated, but it would be short-sighted and foolish not to consider the problems this technology would bring us. Despite the underlying science of quantum computing being amongst the most complex to understand and work with, the actual hurdles standing in the way –the cost to the encryption industry and the approaching investment winter – are much more coherent challenges we must battle in our ultimate quest for answers.